Tampa Bay Plumbing since 1967! All of the parts of your plumbing system work together to provide you with the comfort and convenience you are accustomed to, including the water heater, drains, faucets, and all of the pipes on your property. So when any one of these components does not function the way it is supposed to, you need reliable plumbers who can address the issue in a timely manner, and see to it that all of your faucets and fixtures are restored. Get in touch with our trustworthy team for all of your residential and commercial plumbing installation, replacement, repair, and maintenance needs. Our technicians are some of the finest and most trusted plumbers in the area, with years of experience in the industry and a reputation for excellent customer service. At Peninsular Plumbing, customer satisfaction is not merely a goal—it is our obligation! So whether you need a quick plumbing repair or a full fledged plumbing system replacement, our top rated Tampa plumbers are standing by 24/7. 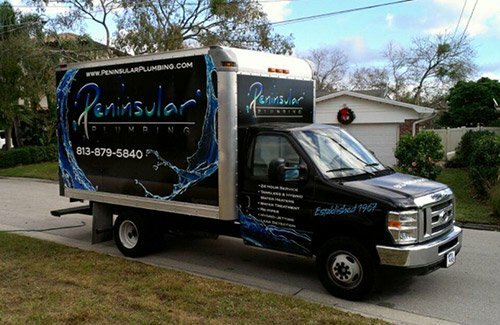 Peninsular Plumbing provides residential and commercial plumbing services in Tampa and the surrounding areas. Whether there is a small clog in your kitchen sink or a sudden burst pipe flooding your home, you can count on us to make the repair. We install new kitchen and bathroom plumbing components, replace failing pipes, and fix leaks—whatever you need to take complete advantage of your home’s plumbing system. We also offer emergency plumbing services, showing up at any time of the day or night to restore running water or repair a pressing leak, with no emergency service fee for those who join our service partner agreement. Our plumbers take pride in finding innovative solutions to customer’s plumbing needs. Call us today to get excellent service from some of the most trusted technicians in the Tampa area. Drinking lots of water is the key to a healthy body, but only if that water is clean enough to drink. Control water contamination issues with the help of a whole-home water treatment system. The systems we install treat some of the most common contaminants found in Tampa water supplies. We have water softeners to remove hard water, purifiers that get rid of the worst pollutants, and water filtration systems that benefit your entire plumbing system. We even offer reverse osmosis systems, some of the most effective water treatment systems on the market. Contact our staff to learn more. Our drain and sewer specialists will handle the most unpleasant aspects of your plumbing system with care and precision. They can install a new drain line, investigate the source of the sewage leaking onto your property, clean out your sewer line, or maintain your storm drainage system. Our company has been around for decades, and customers throughout the area trust us to make repairs properly or install new components as needed. Call us to see why so many customers return to us time and time again for any drain and sewer service they may require over the years. With a commercial plumbing system, there are more components and a more extensive piping system, which means there is a greater chance that something can go wrong. You need commercial plumbing specialists who can show up to your place of business whenever you encounter a problem. Keep Peninsular Plumbing in mind for all of your commercial plumbing system installation, replacement, repair, and maintenance needs in Tampa or any of the nearby cities. Taking a cold shower on a cool night is never ideal when you planned to relax and unwind to end a long day of work. Are you having trouble getting consistent hot water in your home? Get in touch with our water heater repair and installation specialists. 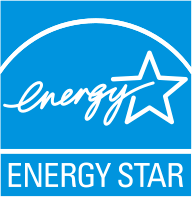 We service and install everything from the conventional 40-gallon hot water tank to tankless units and even solar water heaters. Don’t go without hot water for any longer than you need to. Call our friendly team to learn about the systems we install or to schedule service. Peninsular Plumbing has been my go to plumber for several years; they always provide fast reliable service at reasonable pricing.